Absolutely no one where I live is complaining about being "cool!" We are burning up. I do not remember New England being this hot when I was a kid. 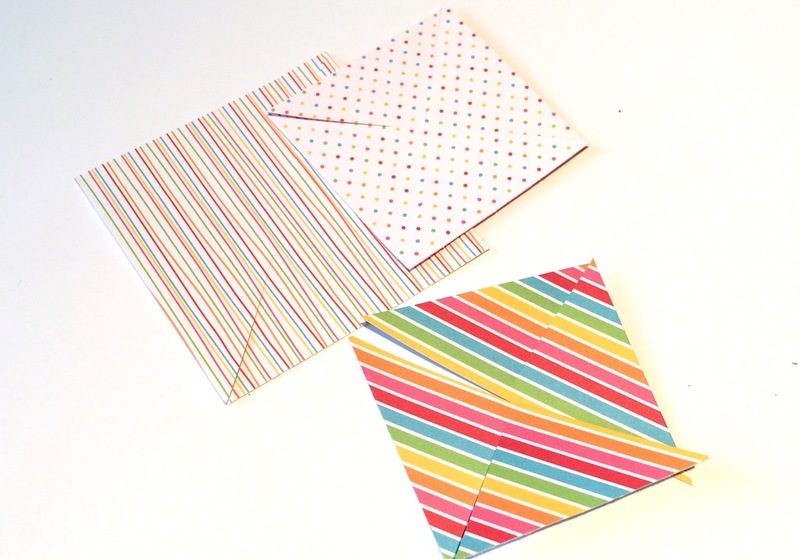 This month's Creative Cafe Kit has perfect timing with its bright colorful patterns. 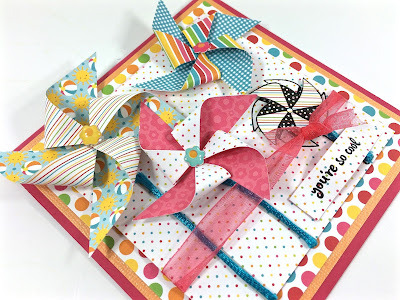 The custom stamps match perfectly to the Doodlebug Sunkissed collection. I highly recommend that you sign up for the monthly kit club if you haven't already. You will not want to miss this one. 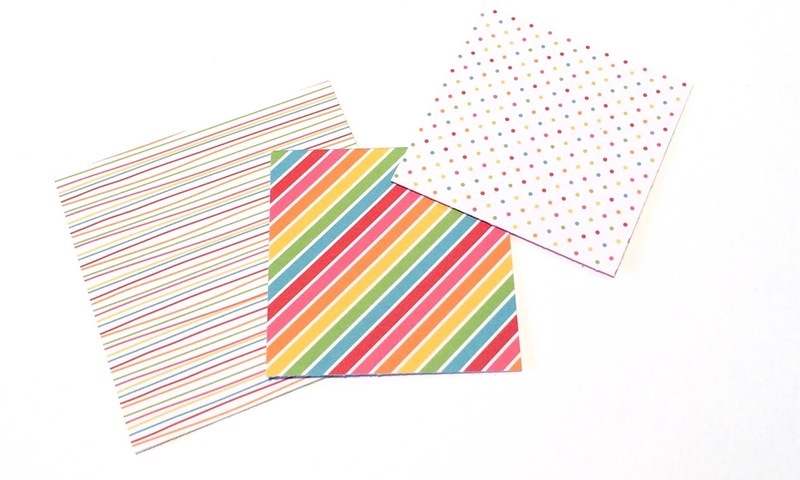 For my first card, I wanted to incorporate all the colors and papers I could. I had to control myself. Let's take a look. For creating the pinwheels, I started by cutting one piece of patterned paper 2 1/2x 2 1/2. With scissors, I cut from each corner in towards the center. Leaving about 1/4 inch to make sure it all stays connected. Oops, I may have cut in a little too far with the bright striped one. 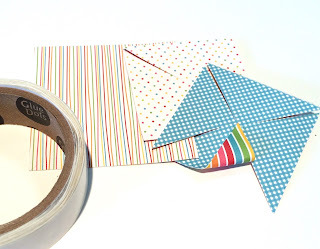 Then, I used tiny glue dots in the center for each corner that I turned. Be sure to turn only every other corner like so. 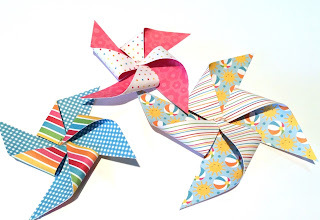 One you have turned four corners on each, your pin wheels are ready! 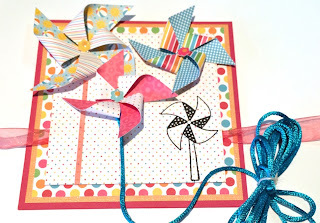 Because the pinwheel stamp had a stick, I wanted to anchor most of my pinwheels too. I used a stoing adhesive like you see in the photo below. I added the beautiful blue string that was included in your kit for the stems. 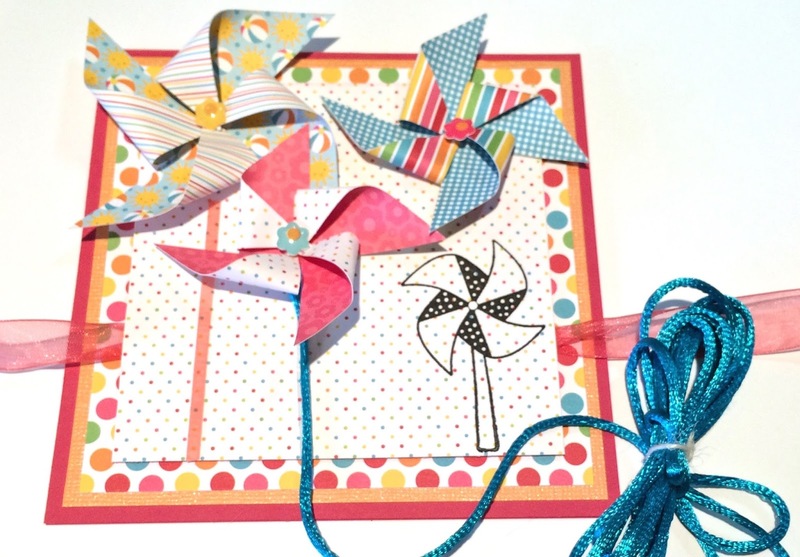 Then, for the last step for the pinwheels, I added the small Doodlebug flowers to each pinwheel center. 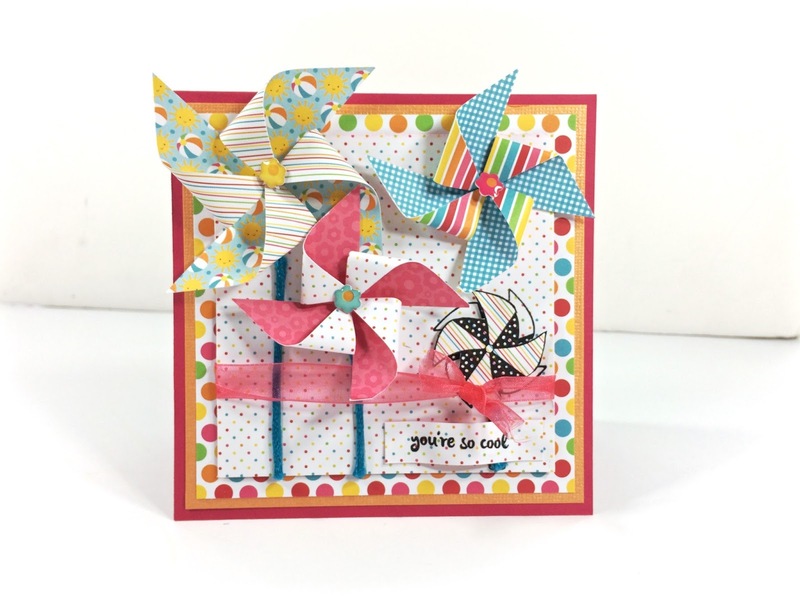 Finished off my card with a layered stamped pinwheel, ribbon and my sentiment. I hope this will inspire you to create a fun, 3 dimensional card. 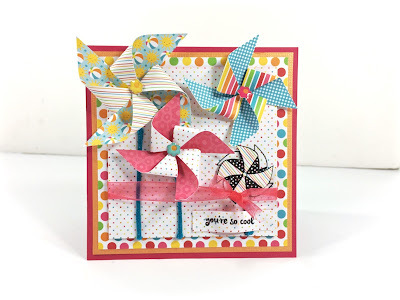 This card may need to be hand delivered:o) Unless you want to push down on the pinwheels. I say, give it to your best friend or family member with a basket of popsicles! Check back tomorrow for more creative inspiration from our design team. 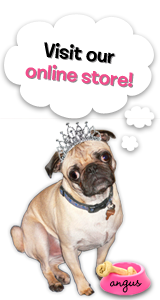 You can find us on Facebook, Pinterest and Instagram too! Stamps: The Rubber Cafe'-Creative Cafe' Kit: "Too Much Sun"